New services & formats, now streaming! 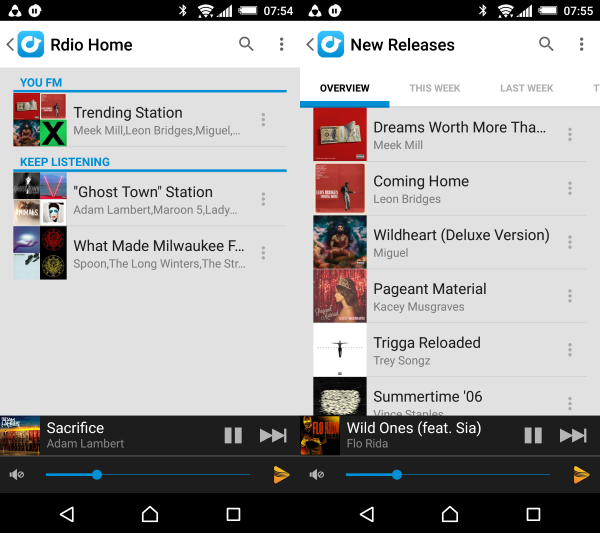 For everyone with a Google phone or tablet of some kind, you guys get to dig into Rdio. The cool thing about Rdio is that it's totally free upfront, and lets you stream your own personalized endless radio stations, which are custom tailored to the way you listen to music. They use a personal touch that goes beyond just algorithmic calculation, so it's music you want to hear. And again, there's no cost to that. Stream it to every room using Play-Fi, absolutely free. If you want to step it up, they have addional tiers of service starting with Select, which gives you higher quality audio (which is great for Play-Fi's lossless streaming) and allows you to store 25 songs for listening any time. You can upgrade that to Unlimited, which then also lets stream whatever you want. Just search for a song, album, or artist, and play whatever you like from their catalog of over 32 million songs. 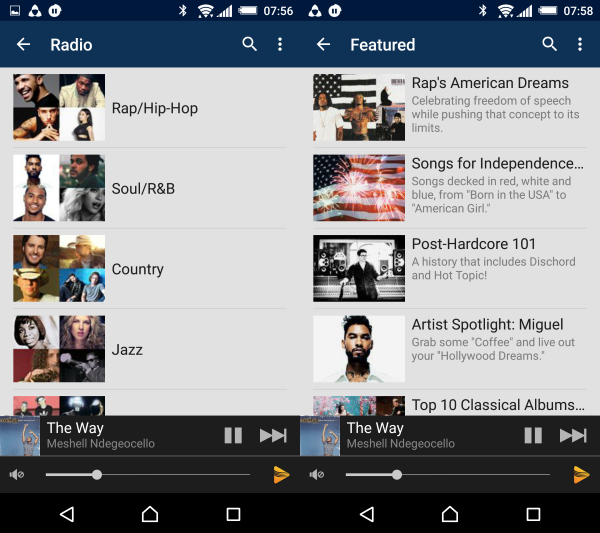 Android users also get Rhapsody, which is very different from other radio-type services. There are no ads in Rhapsody's starting plan, and you can also skip through stations as many times as you like. Very different, which is why they call this starting plan unRadio. You can step that up to their Premier service and be able to pick any song from their catalog to stream any time. No need to wait for the radio. Rhapsody also has a lot of artist curated and featured content, so you can finely attune yourself to the goings-on of your favorite individuals or groups. If you're an Apple audiophile, we imagine you were enthusiastic about our upgrade to Hi Res audio not tool long ago, and couldn't wait until we had that support for you. Well, the wait is over! iOS now supports Hi Res audio up to 24 bit / 192 kHz, using the following formats: WAV, FLAC, and ALAC. That's right, we said ALAC, as in Apple Lossless audio. So if you've got music ripped or purchased from iTunes in this lossless format, you're now ready to enjoy it in all its glory using the one and only truly lossless wireless platform: DTS Play-Fi. 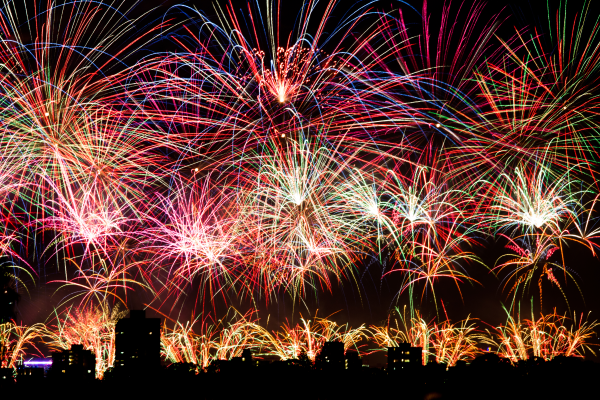 In addition to that we've also added a few enhancements to volume control. When you adjust the volume, you'll notice now that it gradully changes as you move the slider. And if you have roommates (or kids) who happen to play their audio a bit loudy sometimes and forget to turn it down after a while, you can now control their volume levels without having to first take control of the speaker or stop the music. So that's all for today. Let us know in the comments how you like the new additions and what you'd like to see next!